Founded in 1974, the NHS is the only internationally honorary society specifically for finance students. NHS recognizes scholastic achievement through induction of students who have demonstrated superior scholarship. Individuals accepted for membership in the Honor Society have the distinction of belonging to the only international honorary society which specifically recognizes the achievement of finance majors and demonstrates their expertise in areas such as financial economics and decision making. *Individual chapters are free to increase the minimum standards for Honor Society induction. In order to be inducted to the National Honor Society, the chapter's faculty advisor must verify that the applicant meets all national and local requirements. He/she will provide you with an Honor Society Eligibility Code which must be entered on the membership application. Click here to join as a National Honor Society Student Member with your eligibility code. 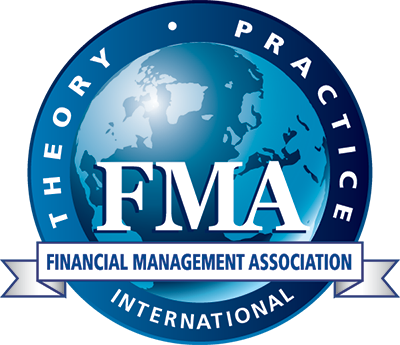 Click here to upgrade your existing FMA Student membership to include your National Honor Society status (login required). If you have not received an invitation to join from your chapter and feel you quality for induction, please use the chapter directory to find the contact information for your chapter's advisor. Honor Society Graduation Sashes are $19.95 each. Processing and delivery take approximately two (2) weeks. If your date needed is sooner than two weeks from the date you complete the order form, please check the expedited shipping option ($10.00 fee). Congratulations to the National Honor Society Members!